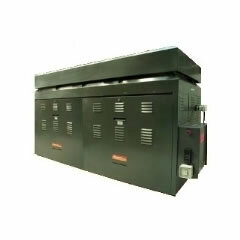 In commercial applications, Raypak gives you significant cost savings. Raypak’s a compact, efficient heating design which is the ideal way to heat large quantities of water for both hot water and hydronic applications. 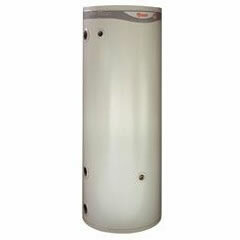 Raypak copper tube gas water heaters are high quality, versatile and compact. Their thermal efficiency is an outstanding 82%, and because they have Hot Surface Ignition (HSI) they save on operating costs too. Raypak’s lightweight ceramic fibre refractory panels have an ingenious design which reduces heat losses – and this gives you further savings. Raypak’s compact design makes it easy to install. The Rheem commercial storage tanks offer the perfect combination of performance and long life flexibility. They connect to the mains pressure water supply with 50mm water connections for maximum flow and are suitable for use in combination with a Raypak water heater as a buffer tank, for solar preheat storage or as additional storage for a Rheem hot water system. The storage tanks can be installed utilising the Rheem Equa-Flow principle, in a bank of up to eight units to provide 3280 litres of storage or in multiple banks if more storage is required. And they are covered by the Rheem 5 year customer protection plan.